Inder and Taj’s Italian wedding was a multicultural event complete with an international guest list, gorgeous jewel toned décor, and a full weekend of activities! 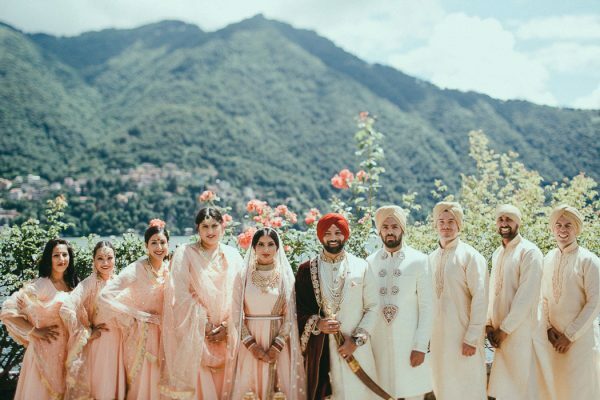 The couple hosted the first part of their wedding at Villa Pizzo, a picturesque property on Lake Como that was the perfect backdrop for their elaborate ceremony. Inder and Taj’s reception at Villa Del Grumello was a totally modern departure from their traditional ceremony with modern elements like ghost chairs, airy curtains, and a crisp white color palette. We can’t get enough of the romantic boat portraits of Inder and Taj’s that LaTo Photography captured on the lake before the reception!